"It all began the fall of 1974, the year I bought my BMW 2002 tii. While driving through Victor NY (Route 96) I saw a beautiful 2002 Alpina with all the Alpina trick stuff. I summoned the driver to pull over into a parking lot to find out where he got the front and rear spoilers. He told me that he got them from a company in Youngtown, Ohio and then told me all about the BMW CCA and encouraged me to join. He had a Roundel magazine with him and gave it to me. His name was Jim Buckley and we became fast friends. The next day I was on the phone to CCA to sign up for membership. If my memory serves me right, the fee was $15.00. I received my membership card within two weeks, and in the envelope there was mention of joining the local chapter. But the only problem was - there was no local chapter. I then called CCA about starting a local chapter. They thought it was a great idea and advised me to call my zone governor. I believe it was Rich Meltzer (also known as ‘Tex’) who told me I had to stay within a sixty mile radius. He also told me to get in contact with the Patroon chapter in the Schenectady/Albany area for assistance getting started. Patroon chapter president, Bill Kane (now deceased) was a great help. He drove to Rochester many weekends to help with meetings. I will always be grateful to him for his hands on approach. The first BMW CCA member I met and spoke to about forming a chapter in this area was Gene Skic in 1976 at the Kling BMW dealership (which was later bought out by Holtz) in Honeoye Falls, NY. I told Gene I was going to start a local BMW chapter and was going to have a planning meeting. Gene assured me he would attend and he did. The first order of work was to get names and numbers of local BMW CCA members. I called the national BMW CCA regarding this matter and received a list of approximately 150 members. The first call was made to Gail (currently Gail Davis) and John Rose. John and I spoke for two hours. That conversation was a motivating force! The next phone calls were made to Bill O’Neill, Stan Parker, and Charlie Stancampiano. They were all receptive and enthusiastic. I then began to organize and plan the first GVC club meeting. I was able to solicit Mt. Read BMW/VW for a meeting room. Then I had to send out 150 letters inviting area CCA members to attend the first meeting to develop an area chapter. I broke my bank account, making long distance phone calls and mailing out all of those letters. The first informal meeting held in the fall of 1977 exceeded my expectations, 38 people showed up. It was a great start! We bantered around ideas about starting a chapter in this region. Friends of BMW continued to meet off and on throughout the years and then officially became a recognized CCA chapter in 1981. 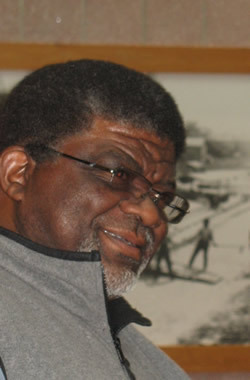 Stan Parker did a great job publishing articles for the monthly newsletter, negotiating drivers schools at Watkins glen and providing his residence for board meetings. The first picnic was held in 1983 at Stoney Brook State Park in Mt Morris, NY. 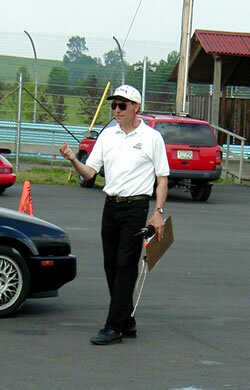 Our first drivers school was in 1984 at Watkins Glen and we hosted our first O’fest in Rochester in 1988. GVC-CCA events and socials continued to grow long lasting friendships, garages that store insurmountable and intangible amounts of known and unknown BMW parts, both current and antique, and provided a venue to discuss long-winded theories and ideas about pistons, brakes, engines and braking techniques that allowed you to maintain more than reasonable speed cornering by using the "heel and toe" method to improve car control. I’ve met some great people over the years and it continues to be a great ride." "A good friend and fellow club member, Stan Parker, passed away on February 27, 2009. Stan had a long history with the Genesee Valley Chapter –- first as one of the founding members -- and later as the one who was instrumental in the establishment of GVC’s Ultimate Driver’s Schools at Watkins Glen. Stan served our club as president, chief instructor, and as the first publisher of this newsletter, Der Bayerische Brief. Those of us around in those early days of the chapter remember many evenings when the Board -- and anyone else who was willing to help –- would gather at Stan’s house to stick mailing labels on the hundreds of newsletters, and then sort them into bulk mailbags. He generously hosted many board meetings and club gatherings at his Fairport home. Stan always strove for perfection in everything he did, particularly regarding his BMWs. He would spend hours upon hours cleaning his vehicles before the chapter concours or the Victor Auto Show. I remember sitting on the back floor of his gorgeous 535i cleaning the leather seats while David helped him scrub brake dust off his wheels. It was a tedious and dirty job, but we were always rewarded with the finest of food and beverage! This car club, along with the BMW Club Racing community, were truly his family and miss him very much. 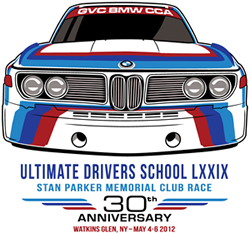 A memorial for Stan was held at Watkins Glen during the Fall’s driver’s school weekend, September 26-27, 2009 in conjunction with the BMW Club Race named in his honor."